"The tutors are extremely supportive and enthusiastic - helping you in whatever way they can. HTFT sets the standard far above other providers and they truly care about your personal experience and progression." HTFT Partnership's Director of ICAEW (Craig Bayley) delivered a webinar in partnership with ICAEW on the how to approach the Accounting exam and tips on how to study and prepare for it. 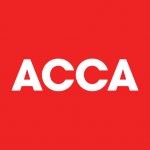 Why did 66% of all people attempting ACCA P2 in September fail? This article written by Clare Finch goes over what you need to do to pass 'the beast' that is ACCA P2. Changes to the Financial Reporting paper (F7) have made it tougher to pass. In this article written by Clare Finch for PQ Magazine, she explains all about the changes and how to approach the new exam structure. Jenny Hughes, our specialist E3 tutor, has written an article for PQ Magazine (published over two editions) focusing on CIMA E3 and the need to tick the right box in the exam.